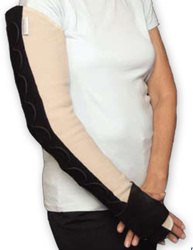 Lymphedema patients now have a variety of night-time garment choices such as Reid Sleeve, BiaCare, and Solaris-Tribute to help manage their Lymphedema while sleeping. Night-time garments will vary in price, and their comfort will be specific to each individual, therefore no specific product recommendations will be made in this article as all have their merits. 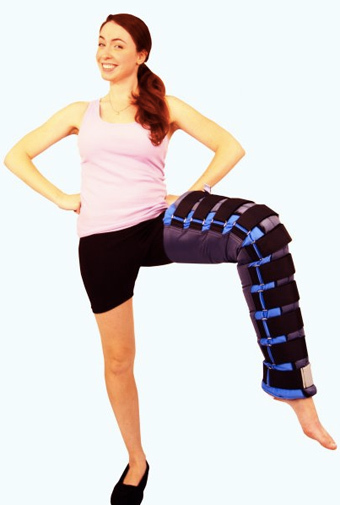 We carry the more popular night-time compression garments,and they maybe covered by insurance, however each individual must discuss with their lymphedema therapist which one works best for them. So what are the benefits of wearing night-time compression garments? For people who have been diagnosed with progressive Lymphedema, it is necessary to have around the clock compression. This means that the edematous region will benefit the most by being compressed 24 hours a day. If it is not compressed continuously, the Lymphedema sufferer might see an increase in swelling which leads to more complications such as an increase in fibrosis, increased chance of cellulitis, and general increase in volume of the edematous region. Thus the benefits of wearing a night-time compression garment far outweigh the potential for complications. People without progressive Lymphedema, as diagnosed by their doctor, may benefit from some of the night-time compression garments in the initial intensive phase of treatment. By wearing the garment while going through the intensive phase of treatment, it will help to maximize volume reduction of the edematous region. Moreover, it will reduce the chance of experiencing one of the possible complications that arise out of Lymphedema. Once the intensive phase is complete, the patient can then discuss with their CDT therapist or doctor whether continuous use of night-time compression is necessary. Another great benefit of wearing night-time compression garments is that it can replace the tedious job of self-bandaging every evening before going to sleep. For those of you who self-bandage or have a significant other help with the bandaging, the night-time compression garment can eliminate or reduce the time it takes to apply the compression bandages to the edematous limb. 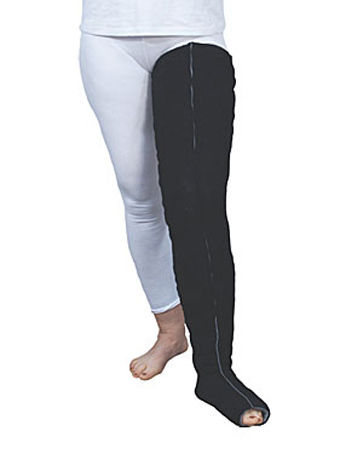 For some individuals who find normal bandaging time-consuming, a night-time compression garment can be a godsend. Also, with the night-time garment there will be an even and consistent pressure night after night on the edematous tissue. This even and consistent pressure will continuously support the lymphatic system and helps reduce swelling, thereby reducing the possibility of complications. Furthermore, the compression garment can be adjusted to accommodate volumetric changes in the edematous region if they are to occur. It is these time saving, comfort factors that often spark a patient to seek out a night-time compression garment, not to mention the added health benefits. Some of the more popular garment makers are Reid Sleeve, BiaCare, and Solaris-Tribute. The prices vary from $300-$1600 for an arm garment and from $400-$2000 for a leg garment. The price variations reflect the different benefits and ease of use for each garment, but also the specific needs of each person such as volume and comfort. Although some of the night-time compression garments seem pricey, most people who wear them appreciate the benefits. Moreover, once you deduct the cost of bandages that you would normally use, the costs of night-time compression garments seem more practical. Copyright © 2018 MaxiMed, All Rights Reserved.